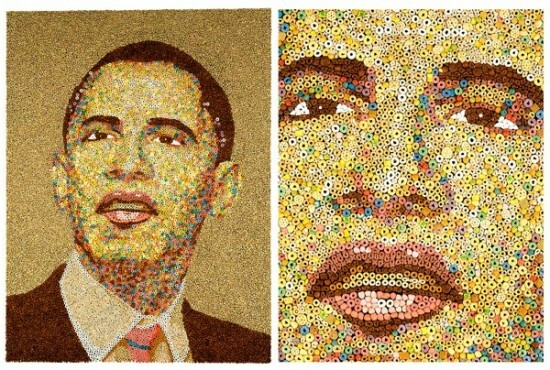 American artist Ryan Alexiev uses different kinds of cereal to create colorful mosaics,from portraits like that of Barrack Obama to recreation of popular artworks. 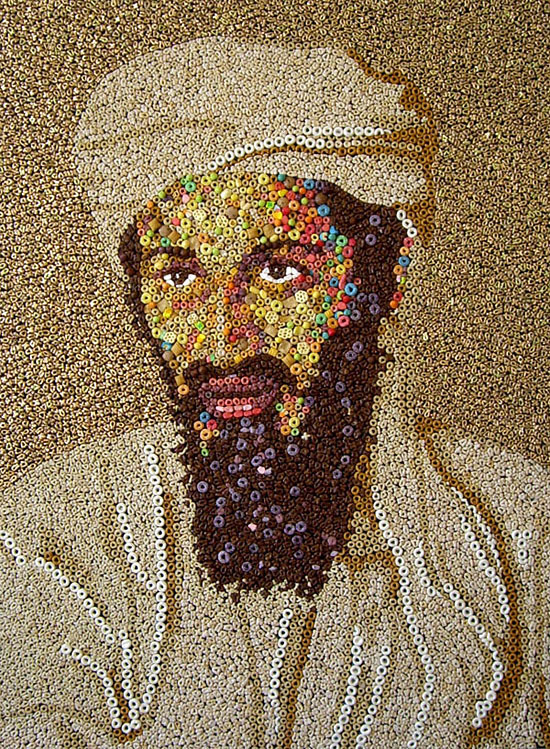 Cereal is America’s number one breakfast choice and the third most popular product in supermarkets, so it makes sense why Alexiev chose it as a medium to examine the ideology of American consumerism, through his art. 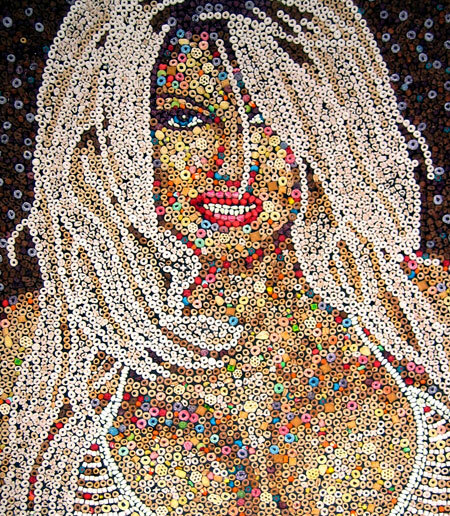 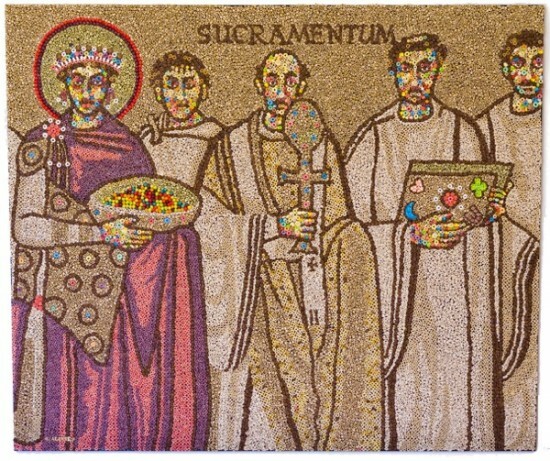 He hand places thousands of crunchy cereal bits to create detailed mosaics that literally look good enough to eat. 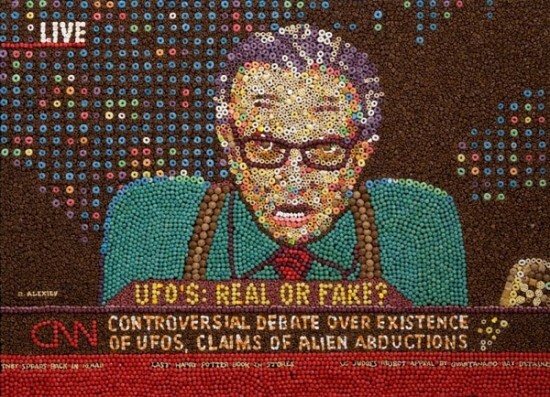 Born in Los Angeles and raised in Alaska by two Bulgarian immigrants, Ryan Alexiev has worked with a lot of materials over the years, but he is mostly known for his cereal mosaics and landscapes like the Wizard of O’s and The Land Of A Million Cereals.